Often times when we talk about our friends at Silicon Prairie News we talk about our friend Jeff Slobotski, as the “Chief Community Builder” Slobotski is often times the face of SPN. His co-founder, equally as vested in the Silicon Prairie region, Dusty Davidson, is often times very busy building something. Well after six months in beta his latest “something” is now launching, and it’s a relief to many designers reliant on the WordPress platform. Davidson along with partners Rick Knudtson and Tony Noecker have launched “FlyWheel”. The team, which Davidson calls a “…dream team of founders” has launched a “premium” WordPress hosting platform built for designers. “We’re re-imagining what it means for designers to host and launch sites on WordPress, and for them to collaborate with customers and other designers and developers. ” Davidson told us an in email. One of the things that sets FlyWheel apart from other hosting platforms is that they strictly WordPress. “All we do is WordPress, our servers are tunes specifically for WordPress, ultrasecure and have top performance” Davidson said in a statement. That makes “light speed’ normal speed for designers that use FlyWheel for their sites. FlyWheel allows design firms to launch demo sites for free and then easily transfer files to a client site to “go live”, a feature which Elevate’s Jake Stutzman, finds particularly useful. FlyWheel will allow a webspace for actual collaboration rather than having to send stills back and forth through collaboration platforms like BaseCamp. To that end, FlyWheel has made it very easy for a designer to grant access to their site without having to send usernames and passwords back and forth through email, which may open up a client to a designers entire portfolio. 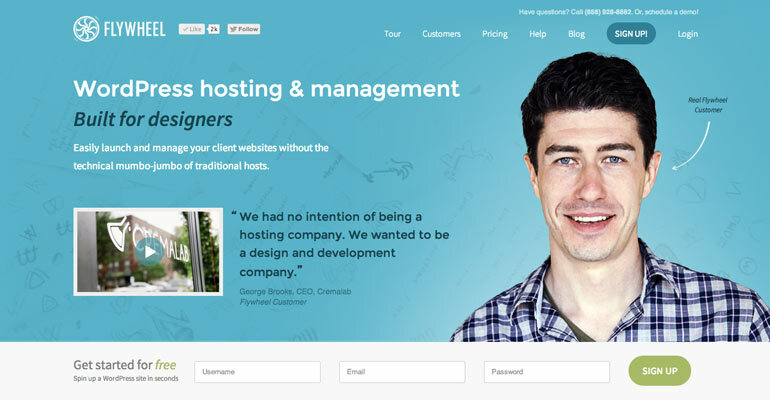 FlyWheel also caters to designers by cutting out a lot of the technical jargon found with hosting companies. Even with a technical background Knudston told Silicon Prairie News “I joke … what are acronyms like CGI? Or what version of PHP is it running? Or things like SSH access,” which is one of the reasons he came up with the idea for FlyWheel. 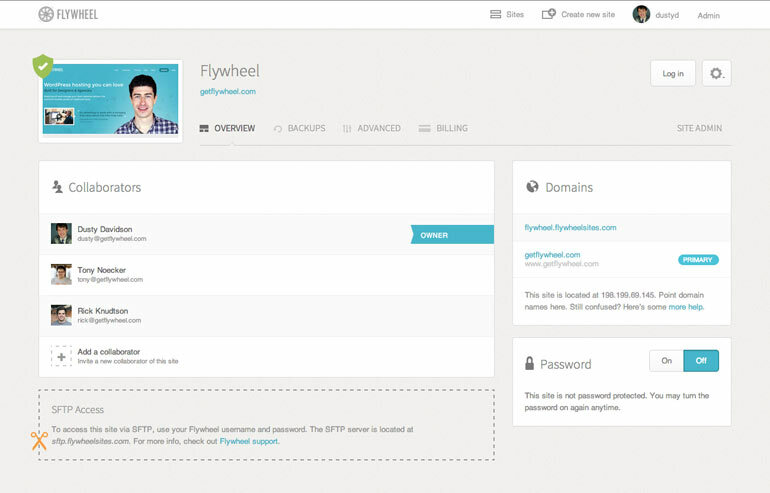 FlyWheel also features an integrated management tool that allows design agencies to quickly get an overview of all of their WordPress projects and quickly login to a clients site, share credentials with a client or even bill a client for their FlyWheel hosting. By day Jared Marquette, Ryan Carter, Robbie Goldsmith, Sam Lingo, and John Murdock are Nashville-based entrepreneurs living the good life, making stuff, creating things and innovating. By night, they suit up in the ninja masks that they were reportedly born with, and become entrepreninjas. 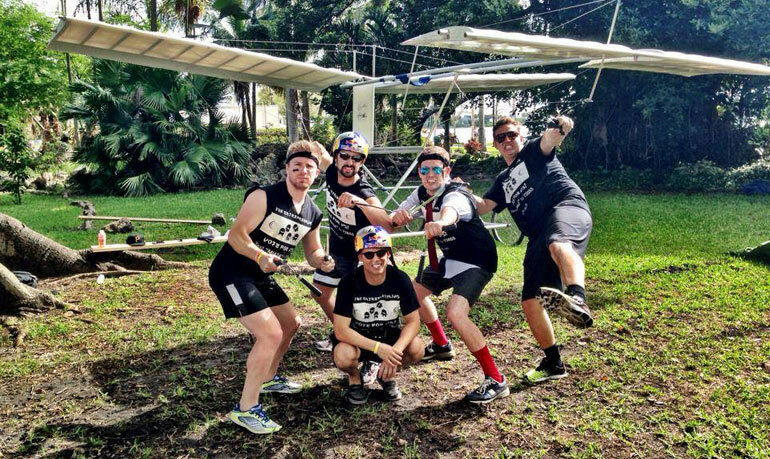 Entrepreninjas is the name of the Michael Burcham and Nashville Entrepreneur Center backed team that competed this weekend in Red Bull’s Flugtag competition. Flugtag is a national competition that was held simultaneously across five US cities this past Saturday. The competition calls for teams to create a man powered flying machine. The machine is launched from a runway over water where it’s judged. The celebrity judges were looking for creativity of craft, distance, and showmanship. The Entrepreninjas built their craft in Nashville with part of the building taking place at the new Entrepreneur Center where team member Sam Lingo is the operations manager. 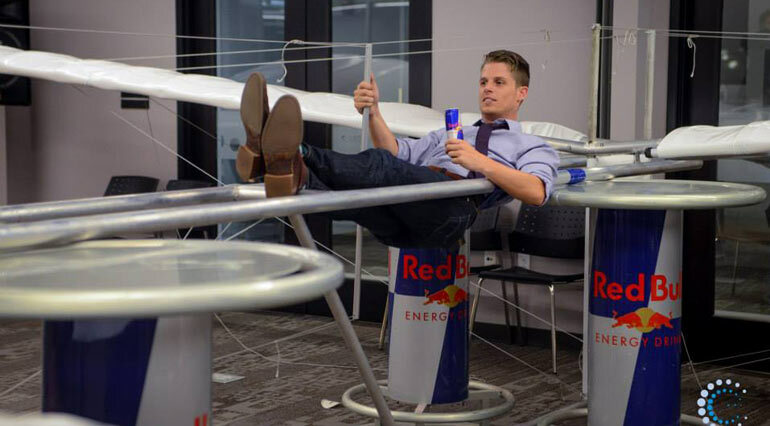 Michael Burcham, along with the Nashville Entrepreneur Center, Polar Technology, Track Ref, and the Thinkery teamed up to back the Entrepreninjas with the expenses of building a flight machine, getting it to Miami and entering the contest. It seems like perfect sense. If these guys can build companies, they can easily build a flying machine, no problem. The team competed against other teams in Miami as well as the four other locations. The top 3 teams from each location won prizes from Red Bull, including Red Bull sports and music experiences, and of course bragging rights. The flying machine looked great, judging from the photos on the Entrepreneur Center and Burcham’s personal Facebook page. The team seemed to do very well in the showmanship category, showing off their ninja moves on the runway before launching the flying machine into the sky (or the water as it was). As you can see from the video below though, they didn’t get very far in flight. The Entrepreninjas, despite a valiant effort, gave new meaning to the theory “Fail Fast.” But alas they are entrepreninjas and iteration trumps perfection, so I’m sure we will see them back out again next year. This was an awesome showing for Nashville and a great team building exercise. For your enjoyment their flight video is below. Omaha’s new accelerator, backed by Dundee Venture Capital, Straight Shot, is making waves in Silicon Prairie. The cohort based accelerator, led by Faith Larson, is taking a big city approach to their accelerator class. Larson and her team have provided an intense amount of mentoring activities, speakers and networking events to make sure their teams are more than ready come demo day. They’ve also taken a firm position in Omaha’s rapidly growing tech community. Their latest effort is a hackathon happening next weekend called CodeOne. When Straight Shot partner First National Bank of Omaha decided that they wanted to see some new ideas and technology for their online web platform they turned to the team at Straight Shot. Together they decided to host a hackathon and engage the tech community to help with the banks platform. Hackathons like this have created a stir in startup communities in the past. Perhaps most notably was Nashville’s “Code Crush” event. Some hackers are leery of corporations backing a hackathon for the sole purpose of developing their companies technology. 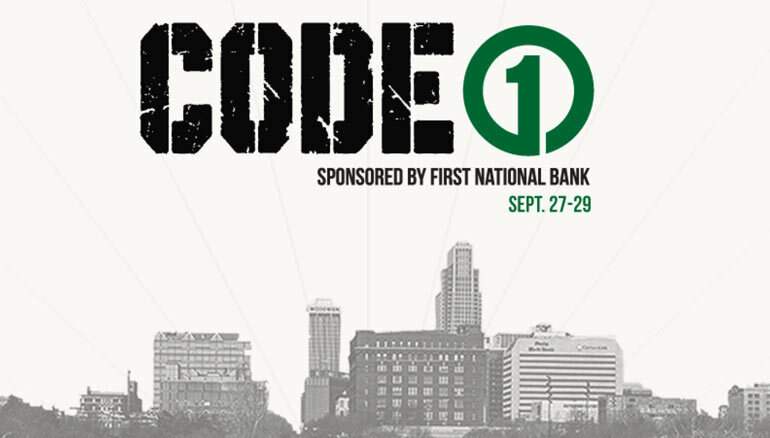 To that end First National Bank of Omaha has been a great partner to the Omaha tech and entrepreneurial community. Not only that but they are giving away $13,000 in cash for the top three teams. First prize is $10,000 cash. Second prize is $2,000 cash and third prize is $1,000 cash. Throughout the weekend event First National Bank of Omaha will also be looking for potential candidates for their internship program which could lead to employment with the bank down the road. They’ve also made it quite clear developers will be developing for the First National Bank platform. I also hear that the food will be great, we’re not talking just chips,soda and pizza. It’s looking like CodeOne will be an amazing event for developers, designers, coders and hackers. You still have a few days left to register and if you’re confident your three person team can knock it out of the ball park there could be some money in it for you as well. Here’s a link to registration. While you’re at it don’t forget to register for Everywhere Else Cincinnati, the huge national startup conference is just two weeks away. 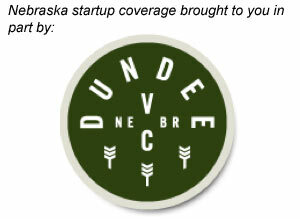 Dundee Capital’s Mark Hasebroock is one of our 30 top notch startup speakers. There’s so much talk about startup accelerators. We report on a lot of accelerators, with an emphasis on the ones accelerating companies outside Silicon Valley. NMotion is one of those accelerators. I spent a bit of time talking with NMotion’s managing director, Brian Ardinger, throughout the course of the program. I also did a mentor session with the five companies in the program about a week before demo day. Ardinger is one of those accelerator directors that knows the most valuable lesson already: Demo Day isn’t the end for the startups, it’s the beginning. Each NMotion team received a seed investment of $15,000 which is par for the course for a city Lincoln’s size. The teams also received over $100,000 in important business services and access to a mentor network, which Ardinger stresses doesn’t go away on demo day. HipPocket, PaperTale, Cinnamon Social, SynserScan, and Alumni Labs worked around the clock as hard, if not harder, than startups at some of the most prestigious Valley accelerators. When the time came on Thursday afternoon, they were ready to show off their summer’s work in front of a crowd of nearly 200 (not too shabby for an inaugural cohort in Lincoln, Nebraska). Cinnamon Social is a software for automated and intelligent social media content curation led by husband-and-wife founders Jason and Holly Petersen. SynerScan is a software to digitize hospital operations offering better health care through data led by founder Brett Byman. HipPocket is a software offering families better context and confidence for financial decision-making led by founder Mark Zmarzly. Alumni Labs is a software that simplifies and manages the college selection and application process led by founders Martin Wolff and Steve Scharf. PaperTale is a new software product founded by Dan Castagnoli designed to help manufacturers curb the $500 million dollar loss in paper coupons. Omaha.com reported that Castagnoli revealed in his pitch that people are using photo editing software to change coupons and dupe manufacturers and retail stores out of millions of dollars. In some cases these crooks change $5 coupons to $10 coupons. While some accelerators immediately start taking applications for the next cohort the day after demo day, Ardinger is making sure that the teams that just graduated into the real business world adjust well. He’s also knee deep in Lincoln’s Startup Week going on all week long. NMotion’s demo day and then Startup Weekend were the official kick off events for Startup Week. For more information on NMotion click here. 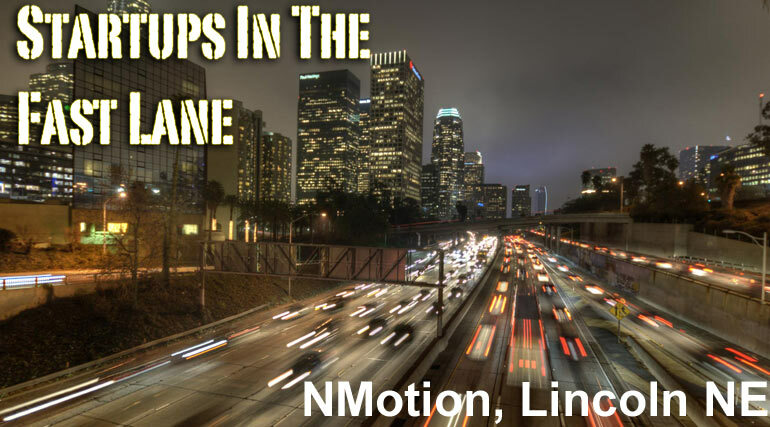 Here a re some of our interviews with NMotion teams in our Startups In The Fastlane feature. While EMR (electronic medical records) are nothing new, and innovation continues to change the doctor’s daily life, there hasn’t been nearly as much innovation centered around the nurses. Specifically, nurses that are making rounds at any hospital or treatment facility. Nurse rounds are still often documented using a clipboard, pen, and paper. If nurses need to enter something into an EMR, they often do it at the nurse’s station, transcribing it from that pen and paper. It takes so long that Bryan Health in Lincoln, Nebraska sought the help of a Lincoln startup called SynersScan to help solve that problem. Typically it’s the other way around. The startup comes up with an idea and then tries to sell it to the user. Now there are users built in, in the case of Bryan Health, with more users waiting in the wings. SynerScan, which is currently accelerating at Lincoln’s NMotion accelerator, is creating a digital platform to manage nurses rounds. Synerscan is the latest startup in the “Fastlane” interview feature that talks with a startup currently in an accelerator program. Check out our interview below. SynerScan Technologies, or simply SynerScan. What we’ve done is develop a software solution that enhances the benefits of hourly nursing rounds in hospitals. This process is currently documented on a physical sheet of paper, causing a couple problems. 1) That sheet of paper is typically thrown away, providing little to no feedback to management, and 2) Backlogging and accountability of nursing staff has become an issue as a result. What we’ve done is digitize the entire process, uncovering a number of value adds in the process. For example, we can now provide visual cues for any staff member to know when a round is due, real-time operational insight for management, and revolutionary communication to friends and family. The best part about our solution is that we began with market validation. We are currently partnered with Bryan Health in Lincoln, who actually came to us to solve this very problem. What most companies do is spend months developing a solution only to find out that nobody actually wants to use it. We had a top 50 cardiovascular hospital come to us and say “here is our problem, who is able to solve it for us?”. That validation out of the gate has had a huge impact on our traction and chances of success moving forward. The ultimate goal in changing the process of nursing rounds is to increase patient satisfaction in hospitals. Hourly rounding has been proven to increase patient satisfaction, decrease falls, and provide greater quality of care as a result. A hospital’s patient satisfaction score is what determines the amount of reimbursement a hospital receives from Medicare and Medicaid. These scores also determine the salary and benefits of a hospital’s executive staff. For these reasons alone, incentives are very high for a hospital to increase patient satisfaction. Our solution provides just that. A lot of these incentives have come about as a result of recent healthcare reform. Hospitals will be compared to one another relative to patient satisfaction, infection rates, and many other metrics. Hospitals will be driven by quality, service, and costs in order to compete. Government sanctioned funds will be given or taken dependent on where the hospital ranks in regards to these metrics. For this reason, it will become imperative that hospitals implement tools to maintain a competitive advantage in the industry. The US healthcare system is at a critical point in increasing quality of care for patients. Hospitals will no longer receive reimbursement based on a “pay-for-reporting” model, where they were simply required to post patient satisfaction scores. Every hospital in the country will now be reimbursed on a “pay-for-performance” model, where the quality of those scores will determine each hospital’s reimbursement rate. There are a number of companies recognizing the potential of increasing patient satisfaction in hospitals. What’s great is that there is no one single way of doing so. What’s frustrating is that there are a lot of unknown and unavoidable factors that affect a patients perspective of their care. First impressions, last impressions, and unforeseen occurrences can drastically alter a patients perception of their care. Although companies like Scan Am and Walsh Integrated have similar solutions in the healthcare space, we have a few tricks up our sleeve that help differentiate us as serious players in the industry. What really sets us apart from our competition is the communication platform we have engineered to provide friends and family with relative insight on the condition of their loved one. With our solution, we are able to push nursing round information to a family members smartphone, tablet, or PC. If you have to be at work or home with the kids, no longer do you have to wonder about the kind of care your significant other is getting. The feedback we’ve received on this aspect of our solution alone has been outstanding. Since our launch at Bryan Health, we have helped family members from San Francisco, Dallas, Chicago, Minneapolis, Kansas City, and everywhere in-between see the quality of care their loved ones were receiving, all in real-time. Imagine you had a child or spouse in the hospital and the importance of a tool like this because quite clear. Born and raised right here in Lincoln. There are some really cool and innovative things happening in Lincoln right now. Most people are oblivious to this fact. We are still highly referred to as a flyover state and this simply isn’t the case. Our entire founding team is comprised of University of Nebraska – Lincoln alumni, and one of our primary goals is to change the perception people have about Lincoln and the potential that remains untapped here. Jumping on the opportunity to be a part of Lincoln’s first accelerator program was a no brainer. What’s one lesson you’ve learned since the NMotion session has started. Before NMotion, our team was progressing at a steady rate. We were making informed decisions, building relationships, and learning everything as we went. What we realized very quickly after starting NMotion is that we weren’t moving fast enough. We were doing too much strategizing and needed to simply begin executing. We are now moving faster, breaking things, learning quickly, and repeating. Stacy Carlson isn’t your everyday startup founder. She’s not a caffeinated-up hackathon junkie, or a gamer chick turned business developer extraordinaire. She’s a stay-at-home mom from Lincoln, Nebraska, who turned her digital scrapbooking hobby into a startup that now has a team of 21 designers, and 13 employees. Silicon Prairie News reports that Carlson was never one for paper scrapbooking (me neither). But when her daughter started getting older she wanted to find a way to preserve those hundreds of digital pics that every parent has of their kid. She got back into computers and immediately picked up digital scrapbooking as a hobby. When Carlson started gottapixel in 2005, it was a place where digital scrapbookers like herself could share layouts with online friends. The layouts that were publicly available weren’t nearly as good as what the user base at gottapixel were uploading to the site. GottaPixel has become one of the most respected and trusted sites among people who do online scrapbooking. Some of the designers who make digital scrapbooking layouts for gottapixel have their own websites and galleries, and Carlson told SPN that the best designers make more than $1000 per month for their work. Now that her kids are in schoo,l and the company is running on all four cylinders, Carlson is active in the startup community via Startup Lincoln, AwesomeCamp, and Ladies Who Launch. 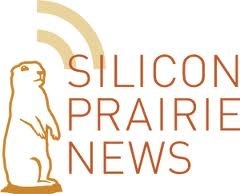 Silicon Prairie News is preparing for their 2nd annual Silicon Prairire Awards, celebrating the startups, entrepreneurs, and achievements across the Silicon Prairie region. 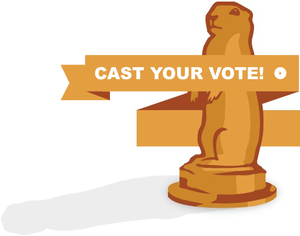 There are 48 finalists in categories including Startup of The Year, New Startup Of The Year, Innovation Of The Year, Mobile App Of The Year, Executive Of The Year, Designer Of The Year, Student Entrepreneur of The Year, Investor Of The Year, Service Provider Of The Year, Silicon Prairie Champion, and Silcon Prairie Ambassador. The finalists will be narrowed down to 12 award winners and revealed on August 29th. The awards ceremony will take place at Hoyt Sherman Place in Des Moines, Iowa, with a keynote by Brandery co-founder and CMO at Rockfish (and eecincinnati.com speaker) Dave Knox. Here are the finalists from SPN. The startup everyone was talking about. The one that made marked progress toward solidifying its success, having an all-around banner year. The new kid on the block that quickly made a name for itself, and for good reason. This product prototype, release, or advancement made people look twice because it broke a mold, introduced a new way to solve a problem, or challenged a status quo. This app featured a notable design and user interface, broke the mold for what we’d expect from a mobile app or reached a high number of downloads. This C-level executive, president or founder led a startup to the next stage, hit milestones and overcame odds. This team member, freelancer, or consultant made a significant contribution toward development of a startup’s product. This team member, freelancer, or consultant made a mark on a startup’s product by providing an amazing user experience or beautiful design. This student or group of students—college undergraduate or younger—built a notable business, launched a praise-worthy app or created an impactful entrepreneurial initiative. More than funding, this investor provided the all-around package, being a connector and champion of their portfolio startups. This lawyer, accountant, marketer or other service provider made things happen for startups, simple as that. An individual, company or organization that selflessly gave their time, resources or expertise to advance the Silicon Prairie community. An individual from the region who has moved away but continues to advocate on behalf of the Silicon Prairie community. Whether you have an MBA or a GED, startup accelerators are often the biggest push that startups need to go from idea, or earliest MVP, to actual startup and company. Startup accelerators come in all sizes and shapes from YCombinator, 500 Startups, and Techstars to The Fort, The Brandery, and Seed Hatchery. In our Accelerating in the Fast Lane stories we’ll feature an interview with a startup currently going through an accelerator. Nebraska is filled with startups and entrepreneurs. Warren Buffet hails from Nebraska, as does the Silicon Prairie News and their Big Series of award-winning conferences. On a recent trip to Nebraska, we got to hang out with Eric Moyer the co-founder and CMO of a startup that went into Lincoln, Nebraksa’s NMotion accelerator as Fiscal Circles and has since taken on the name, HipPocket. HipPocket helps connect consumers to loan products in a more efficient and transparent way. Find out how in our interview with Moyer below. The name of our start-up has long been a loaded question. I am however happy to report, Fiscal Circles, Inc. is now doing business as HipPocket. We provide insight into consumer finance which until now has lacked any form of transparency. Consumers hoping to improve their financial situation have been forced to call around or ‘take a chance’ on a loan offer that may not be in their best interest through websites like lowermybills.com, quickenloans, etc. Consumer adoption of online banking and more specifically, personal financial management (PFM) sites like Mint.com is trending up. Further, interest rates are poised to increase markedly in the near term. We predict that timing is right for a vast number of consumers who have been on the fence about optimizing their finances will be motivated by a changing rate environment. Our proprietary process for taking users through the comparison process is our secret sauce. We help them build a complete financial picture and provide the clearest possible explanation of where they stand now and an easy-to-understand path to a better future. This process emphasizes simplicity and fairness. Instead of utilizing persistent reminders, info-graphics and a myriad of other tactics to change consumer behavior, we’ve chosen to concentrate on saving people money on the things they already buy. By concentrating on making refinancing or finding a new mortgage easy and providing unbiased loan recommendations, we give the consumer a fair shot at getting the best deal. Prior to NMotion, our team split time among coffee shops, Turbine Flats (a co-working space) and of course, the founder’s homes. We applied to NMotion to gain access to resources and best practices in an effort to improve our chances for success. 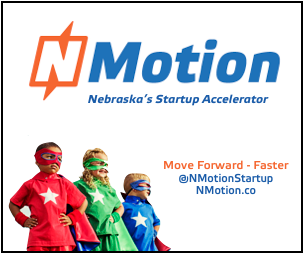 Plus, NMotion is dedicated to developing the start-up community of Lincoln, Nebraska. We recognize that for our venture to succeed, the area needs to be seen as a viable place for new companies to gain a foothold. Brian Ardinger and his staff at NMotion have given participating teams every opportunity to develop and successfully launch compelling products and services. One lesson we’ve learned is that the time spent validating assumptions might be worth more than what you’re building. You can find us on Facebook, Twitter and now, YourHipPocket.com. Stay tuned for more stories from accelerators everywhere else. 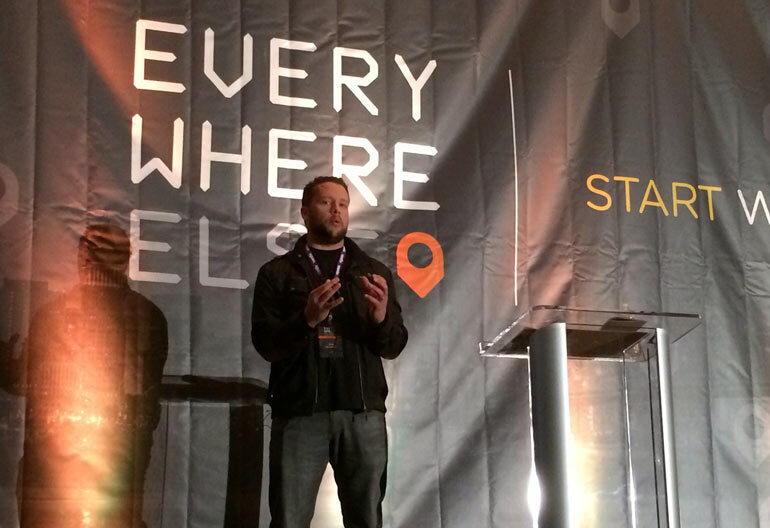 Startups from everywhere else attend the huge everywhereelse.co The Startup Conference. Omaha Nebraska is no stranger to startups. Regional mega blog Silicon Prairie News is based there, and they’ve been holding the Big Omaha startup conference for the last five years. Earlier this month SPN welcomed even more startups to the Silicon Prairie with the announcement of the inaugural class of startups for the new cohort based accelerator program beginning July 8. The accelerator has a focus on e-commerce with a variety of startups going through the first class. There are 14 founders in all and 7 startups. Four of the startups are from outside of Omaha and are starting to get settled in now before the fourth of July holiday. According to SPN Hayneedle founder Mark Hasebroock is the brains behind Straight Shot. In the early part of the new millennium Hasebroock helped found hammocks.com an online site to buy hammocks. He helped grow the company into Hayneedle, one of internets largest retailers of outdoor goods, decorative items and items for the home. Hasebroock is now the Managing Partner for Dundee Venture Capital, the firm that’s backing Straight Shot. But Hasebroock didn’t want to just create a startup accelerator because it’s the in thing to do in 2013. He has set a goal of growing 100 viable companies throughout the next 10 years. Hasebroock is no stranger to the accelerator, he’s currently a mentor in 3 accelerators, The Brandery in Cincinnati and Techstars Boulder and Chicago. As with other accelerators, Straight Shot will be fueled by money, mentors and a mission to get the startups to an investible story by the end of the session. Local Omaha entrepreneurs are very excited about their newest entrepreneurial endeavor. Jake Stutzman the founder of elevate.co a local design firm that specializes in startups, is serving as a mentor for this first class and told nibletz.com that he’s been scoping out the startups and has already started informally working with some of the startups that are local to Omaha. “CardioSys is still developing the full SaaS model,” Larson said. CardioSys combines advanced mobile and wireless technologies along with predictive analytics in order to provide a real-time monitoring platform for patients with acute or chronic illnesses. “Crateful still has further product development but they actually have active DJs who are utilizing the product they’ve developed,” Larson said. Crateful uses advanced audio and data analytics techniques to make tools that help music enthusiasts with their No. 1 problem: finding the best music for the moment. “BuyNow is out pitching, they have a trademarked product and are in the middle of their sales campaign,” Larson said. BuyNow is a mobile-commerce app that enables consumers to instantly purchase advertised products/services off of any multimedia ad by sending an SMS text message. “Huntforce is currently in the prototype phase for a hardware component that it’s developing,” Larson said. With HuntForce, hunters can view, organize, manage and share photos of their property and game from their mobile devices. “Cosmic cart has signed up retailers, actually active publishers and has some commerce that’s being transacted,” Larson said. Cosmic Cart adds convenience and security to online shopping by allowing users to add products into one shopping cart from anywhere online. “Cympel has had pilot companies and is in final product development stages,” Larson said. Cympel delivers interactive advertisements and the ability for a customer to immediately purchase the product without redirection. Through the Business Exchange platform, businesses can provide feedback, insight, recommendations, reviews and ratings to one another based on real-world transactions. This startup conference is all about startups everywhere else. Do you have our ticket? Whether you’re in charge of volunteers at a school’s PTA, your local church, civic organization or even the boy scouts, organizing volunteers can quickly turn into a big mess. Everyone typically means well when you first call out for volunteers and you end up with more than you need. Then, when it gets to be crunch time, people are too busy with other things or forget what their volunteer job was. This can lead to a chaotic mess for any volunteer coordinator or event organizer. Until recently, even the most organized of volunteer coordinators often pulled off a great event with a gigantic headache. Karen Bantuveris, the founder and CEO of VolunteerSpot said enough was enough and took this problem into her own hands. She solved it by creating an online platform to manage volunteers. The service has taken off with over 1.5 million volunteer users already using the free platform. What’s even better is the fact that there’s been no real marketing. The startup has survived off word-of-mouth advertising and some social media. Last week VolunteerSpot announced that they’ve raised $1.5 million dollars in a round of funding that they plan to use to bolster their marketing efforts. The round was led by FF Venture Capital out of New York. The Central Texas Angel Network, the Baylor Angel Network and Angel List also participated in the round. But those aren’t the only angels Bantuveris was able to woo. The Nebraska Angels ponied up $450,000 in the round. 14 of the Nebraska Angels contributed $25,000 or more towards that $450,000. Nebraska Angels Vice President Steve Clinch told SiliconPrairieNews that he liked Bentuveris from the minute he picked her up from the airport because of her “go-getter” spirit. VolunteerSpot is one of the most scalable startups we’ve seen in quite sometime. Every kind of organization from gymnastics clubs to habitat for humanity can, and do use VolunteerSpot, and of course there are volunteer organizations in every town, city and state in the U.S.
Help keep the Nibletz “sneaker-strapped, nationwide startup roadtrip going” find out more here. Four years ago Silicon Prairie News (or SPN as they’re affectionately known) began reporting on stories in Omaha and surrounding areas. They soon added coverage from Des Moines, Kansas and other areas. Today SPN is the site of record for anything happening in the Silicon Prairie. While we know all too well how hard it can be to get traction and coverage for Startups “everywhere else” SPN covers their regional area with the veracity that TechCrunch covers Silicon Valley. Not only that but SPN co-founder Jeff Slabotski has formed quite a community around the tech site and the rising startup scenes out there. To recognize the hard work that startups and tech companies have put forth in the region, Silicon Prairie News started The Silicon Prairie Awards. We are all well aware that the work put into a startup “everywhere else” towers the work needed to build a startup on either coast. Not only are entrepreneurs and startup founders fighting for big media coverage, resources, funding, and talent are more challenging. Silicon Prairie News has also become a valuable resource to other tech and startup news sites. We’ve picked up some great stories from SPN. The Silicon Prairie Awards will highlight the achievements of startups in their core coverage areas Omaha, Des Moines and Kansas City. The awards will be in these categories; Startup, New Startup, Consumer Startup, B2B Startup, Mobile Application, Startup Executive, Startup Technologist, Startup Designer, Startup Investor and Startup Service Provider. Nominations are being taken here through July 25th.